Poker tournaments have a way of lulling you into a false sense of security. You’re pitted against lesser players for hours, only to be seated at a table of equals. The competition just got blood thirsty, and you’ll need to adjust your strategy if you want to win. To increase the challenge, every mistake you make will cost you dearly, so you’ll need to find some Zen-like calm if you’re to keep a clear head. 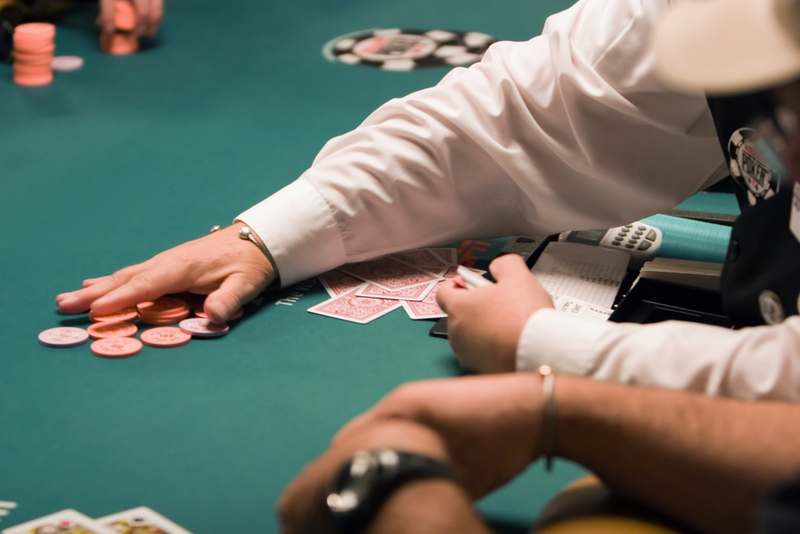 For technical gamers, final table poker strategy involves playing looser and bluffing harder. Opening up your hand ranges exposes you to more chances, both to win and to lose, so you’ll need to predict the actions of your opponents even better than you can predict the river. Before now, you were playing cards. Now, you’re playing people. The final table is where the true stars come out. Everyone will be playing superbly, and you’ll finally have the chance to get to know your rivals. For the first few rounds, you have little choice but to play tight, but once you’re more familiar with the table, loosen up. Pay attention to how players are responding to their position and the size of their stacks. Identify dare devil players, because their weaknesses can make or break your game. If you don’t learn to exploit them, they will exploit you. Your position to the blind and its size determines how you should play pre-flop and post-flop. This is known as the M-ratio, and when you’re playing in an online tournament, it’s one of your greatest tactical assets. Since it’s difficult to get a feel for players in cyberspace, you’ll need to play a lot more tightly early on, but observing how the rest of the table responds to their position remains crucial. When there are only a few players left at the table, adjusting to short-handed tactics will keep you responsive. At this point, many players bring out their most maniacal selves, and rightly so. The tournament doesn’t get edgier than this, and you’ll need to keep up. Not every seat at the table is playing for the prize. Some will be there to climb to a new payment scale, so they’ll play a little more reticently, fold more easily, and keep a tight game. If your shy players are raising, you’re forced to play just as tightly. Loose, aggressive final table tournament tactics are widely considered to be the best way to stay in the game. This requires courage and confidence. You could get away with playing a tight, passive game initially, but if the blinds are high and your stack is short, there’s little sense in folding. You’re going to go broke if you don’t try to climb your way back into the game, so let your chips do a little work. During the late stage of the final table, even the blinds add up to a significant win, so your pre-flop strategy becomes all the more important. The pressure on your stack is massive, but it’s equally scary for your rivals, which makes it easier to steal the pot. It’s critical that you identify other players who engage in steal play. Those with the short stack are likely to call your attempts, but tall stack players are more likely to fold. Occasionally re-raise on players who habitually steal blinds, or you’ll soon lose your place at the table. This strategy will keep them in check. After six big blinds, players tend to play more hands regardless of the cards they have. Expect more bluffing. After five blinds, the pot odds shift, requiring you to call on as many hands as you can. Only fold on cards that are truly useless. If you’re sitting on the big blind and carrying a trash hand, you’re in trouble. This is when your bluffing skills are imperative. You don’t want to lose at the final table in a standard tournament, so get some practice with soft games that have smaller buy ins first. The calmer you are about losing, the better you’re likely to play, so this kind of practice is invaluable. This stage of the game demands a huge variety of playing styles from every player. You should work at strengthening an array of different strategies and then adapt them responsively throughout your game.